2014 has been a good year for local lad Richard Hadfield. 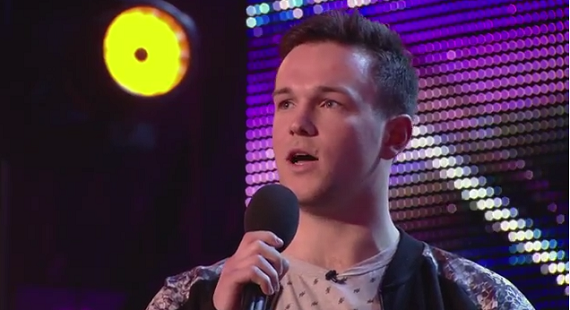 The talented singer from Portslade was recruited by the other 4 members of Collabro in January. He performed with the band on Britain’s Got Talent (BGT) in February and absolutely brought the house down. Collabro won the competition by a landslide in June. Their debut album, ‘Stars’, was released in August and went straight to number one, knocking Ed Sheeran off of top spot and ending his 8-week run at the top of the album charts. Of course, none of this came as a huge surprise to Team Donatello. We were fortunate enough to see his talents first hand before he was famous, so to speak. Richard would entertain the folk of Brighton and Hove by busking around the city – often right outside Donatello in The Lanes. He even came into the restaurant and performed a couple of gigs for our customers to help raise money for his tuition fees. The reception he received from our guests was fairly similar to the one Collabro received after their audition in front of the judges; in short, we knew he was going to be a big success. So, when Richard came to Donatello last weekend with his family, we were, of course, delighted to see him. As it turns out, 2015 promises to be an even better year for Richard and the Collabro boys. Their debut tour with BGT runner-up, Lucy Kay, kicks off in January, with the band playing 23 dates all over the UK. Richard is sure to be looking forward to a homecoming gig when Collabro play The Brighton Centre on 13th February 2015 – a night bound to live long in the memory of all his friends and family. Everyone at Donatello would like to wish Richard well for whatever the future holds, and we’ll all be there in February to watch the show!